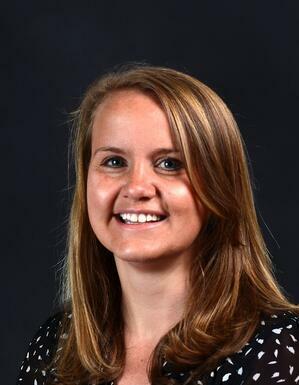 Whitney Marie Watts, Coker College class of 2008, has been named the 2019 recipient of the Coker College Alumni Association’s Outstanding Young Alumni Award. 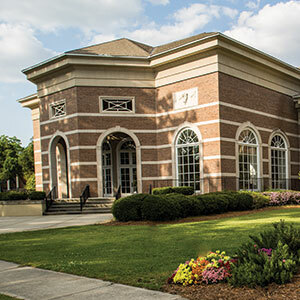 This prestigious award is given annually by the Coker College Alumni Association and presented to a graduate of the past 20 years who has already made significant achievements in his or her chosen profession and who shows exceptional potential for future accomplishments. Watts is the Dean of Student Success at Coker College. She received her B.A. in communication and English from Coker and her M.Ed. in higher education and student affairs from the University of South Carolina. Watts began working at Coker as assistant director of residence life and the first-year experience, became director of residence life in 2012, and dean of students in 2014. In July of 2017, Watts became dean of student success. Watts has served on countless Coker committees, taught Coker College 101 (CC101) and Coker College 102 (CC102), served on the Cobra Club board, the Coker Alumni Association board, served as the treasurer of Hartsville Young Professionals, and has presented at many symposiums, conferences and retreats. Watts resides in Hartsville, S.C.
Watts’s award will be presented at 5:30pm on Saturday, February 2, at Drengaelen House during Coker’s homecoming alumni reception.